20 computer science topics to know about in a fun online IT learning game. Class Game for desktop computers, laptops and tablets, which may be played in the web browser. The IT Knowledge Board include 20 stylized pictures to play with. It is cumulative with the Computer Navigation Online Test. How to play Computer Navigation. 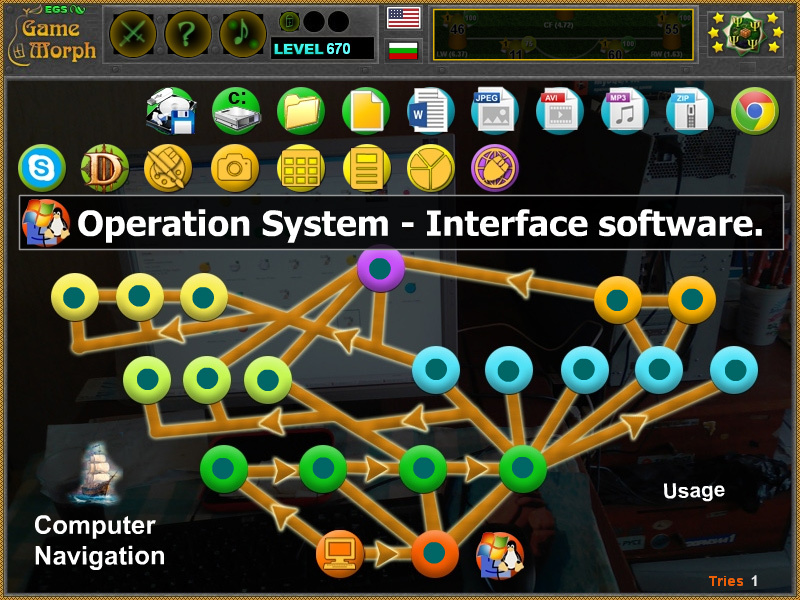 There are 20 stylized pictures of different computer usage and concepts, on the top of the screen. Roll over the picture reveal the name of the subject. Every IT icon is in different set of colors, which sign the fields group. The main tree is in the middle of the screen. The empty sockets are colored in colors too. Drag and drop the round computer picture in the appropriate color on the diagram. The pictures will remain active, until all of them are arranged correctly. The game has a Test Version. 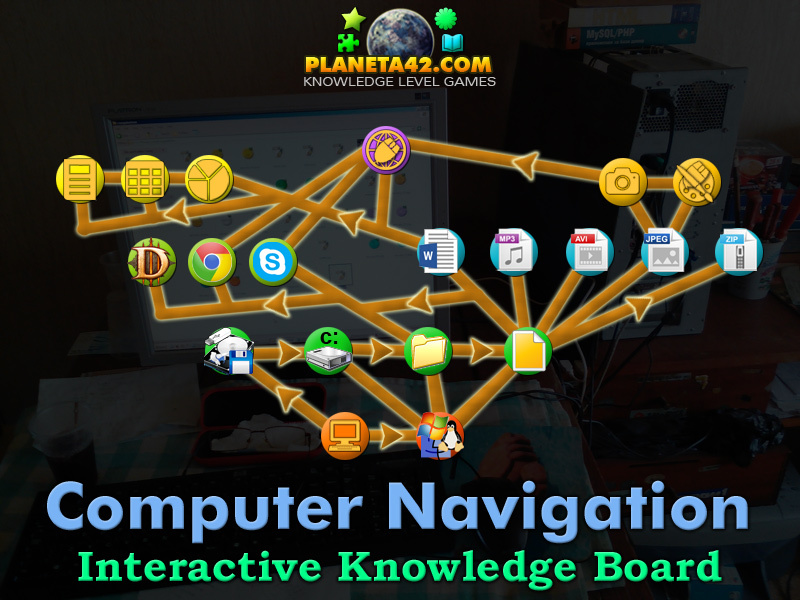 Know to navigate in computer enviropnment. Labels: Games about Computers , Mosaic Games , Flash Games , IT Games , Education Games , IT Class Games.